[php snippet=3]Join the Friends of Adizes community and receive special offers, get sneak peeks at new content, get exclusive access to events and much more. More videos please visit here. 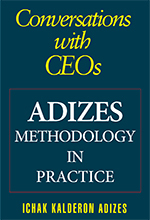 Conversations with CEOs is a fascinating compilation of interviews from CEOs that Dr. Adizes has worked with. 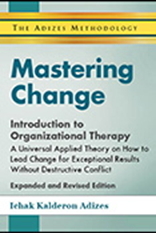 His intention is for readers to learn something from these talks—about change, about leadership, and about the travails and rewards of being a manager. In this white paper, Dr. Adizes shares his thoughts on a variety of topics, including: Education; What is Leader? 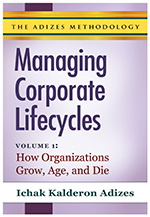 ; Mutual Trust and Respect; Healthy Organizations; The Formula of Success; and much more. Sign up for our Friends of Adizes e-mail list and receive special offers, get sneak peeks at new content, and get exclusive access to events.